Cuban’s Twitter trade appears to have been a profitable one. On May 2, 2017, he told CNBC’s Squawk Alley that he started buying Twitter because he thought they “finally got their act together with artificial intelligence.” At the time, Twitter was trading at $US17 a share – nearly half its current level of $US33. It is unclear how much of the stock Cuban owned. 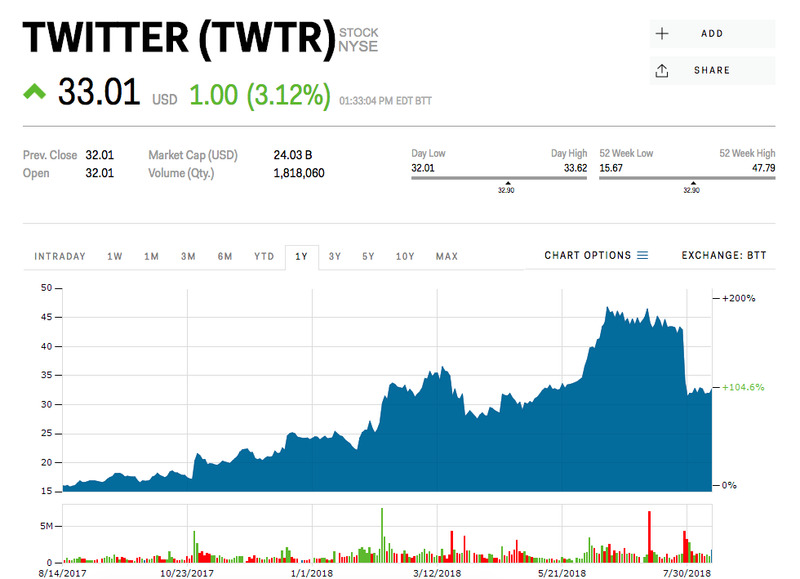 Twitter’s stock topped out earlier this year at near $US48 – before its disastrous second-quarter earnings sent shares tumbling by more than 27%. The sell-off was the result of the company announcing an unexpected decline in its number of monthly active users.